This elegant silver glitz frame is made of an ABS chrome plated plastic with a UV protected polycarbonate non-breakable double string bling insert. This elegant silver glitz frame is made of an ABS chrome plated plastic with a UV protected polycarbonate non-breakable double string bling insert. 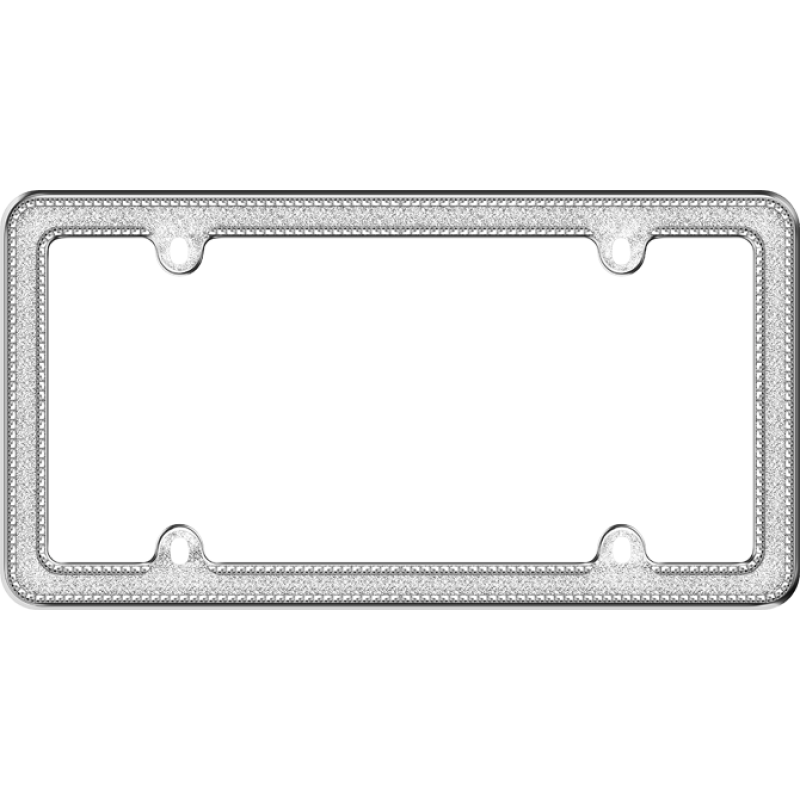 The silver "glitz" design is a reversed silk-screened process on the back side of the polycarbonate insert to keep the design looking new.